Question: Where can you find a dignified Nanny with superior credentials? We understand that selecting the appropriate avenue to hire a professional Nanny for your family is a very personal and substantial decision. To ensure that you are receiving the most skilled caregivers let's explore some common questions below to identify what is most important to your family! Question: Is it vital that each applicant has received a face-to-face interview conducted by a trained staff in a professional setting prior to inviting them into your home? Concern with Online Searches: Online database searches allow families to review essentially anyone that has submitted a resume on the Internet, meaning there has been no filtering or inspection of any kind. The amount of reviewing you must commit to the search is so extensive that it may take hours to sort through hundreds of unqualified candidates, many of which offer no child care experience whatsoever. It only offers a simple written post, which cannot allow you to make an accurate decision since it eliminates the process to really comprehend their experience, personality, and professionalism. Many candidates can easily misrepresent themselves through an online database making qualified candidates nearly impossible to find. ABC Nanny Source Solution: A face to face interview is essential since it allows our highly trained staff at ABC Nanny Source to extensively research how appropriate a prospective candidate is for your family. It provides tremendous insight into a candidate's level of organizational skills as well as evaluating their ability to be flexible with the continually changing needs of children. The Placement Counselors assess the applicant's eligibility and certainly focus on professional details such as their handshake and smile as well as their ability to articulate their past experience with childcare, while they sustain honesty, poise, and passion for the position of a professional caregiver. At ABC Nanny Source we only select 10% of all applicants who apply for a position with our agency. Question: How essential is it for the candidates you are considering to be cleared of all investigations before welcoming them into your home to meet your family? Concern with Online Searches: Conducting an online search is exceedingly unreliable since most of the information received through the Internet can be easily altered from the truth. Many individuals post resumes or profiles that are untrustworthy and out of date. You would have thousands of candidates to review, most of which ABC Nanny Source would have already eliminated since they do not meet the criteria of being a suitable professional nanny. ABC Nanny Source Solution: We are confident that our 10 Step Screening process only offers highly qualified nannies that are unparalleled among other agencies. We are known as one of the most trustworthy nanny agencies that provide superior and dependable services for your family. We present your family with the security that your in-home childcare provider is cleared of any convictions and or infractions to avoid any unnecessary risk in your home. We ensure that our method of screening is extensive and reliable; verifying that the nanny is credible by administering background clearances, which include both National Background investigations as well as FBI formatted standard electronic fingerprinting. We assure hiring with ease by only offering experienced, qualified nannies. Question: Is it important to trust your childcare provider to have a safe driving motor vehicle record? Concern with Online Searches: Applicants that have a history with motor vehicle offenses including driving under the influence, careless driving, or any other irresponsible indiscretions most likely are not honest when asked in fear of not getting the position. The online post can be very unreliable since most candidates with these offenses will not be honest in their profile. Many do not disclose offenses in fear of losing a position and are not careful in recognizing the threat their actions may have on the safety of children in their care. ABC Nanny Source Solution: ABC Nanny Source is passionate to ensure your nanny is responsible; a good way of assuring this is by obtaining each candidate’s motor vehicle report before considering them a suitable applicant. We have access to information not attainable to the general public exposing their moving violations, suspensions, and accidents. A candidate’s motor vehicle and DMV history provides good insight into the type of employee they will be. It depicts how that particular candidate handles the responsibility of handling their vehicle on the road and her caution and respect towards other motorists. We share this information with you prior to your decision to ensure you feel completely comfortable with your choice. Question: Do you trust that the candidates you are reviewing are not abusing any illegal substance? Concern with Online Searches: While you may assume that the candidate would be drug-free if in the childcare profession, there may be no way of knowing by referring to the Internet for your search. If they have yet to be arrested for their drug abuse issues it will not be made for the general public to attain the information since it’s all done illegally and can only be discovered through a drug test or an arrest. This information can easily be misrepresented online leaving you to trust the word of the applicant alone. ABC Nanny Source Solution: The use of illegal drugs can compromise the integrity and stability of your home. Drug testing will give you the information required to make informed decisions about prospective candidates. ABC Nanny Source utilizes the world's leading provider of drug testing, Quest Diagnostics. The tests we require every applicant to take prior to agency acceptance will report to ABC absolutely any traces of cocaine, amphetamines, opiates, marijuana, and PCP’s. Applicants whose results display drug abuse are disqualified from agency placement. A drug-free and responsible individual is crucial in the profession of childcare and ABC Nanny Source takes this very seriously. Question: Is it important to your family that each candidate you are considering has been fingerprinted? Concern with Online Searches: Since one would have to be physically scanned into the system in person, there is certainly no way of going about this online. Therefore there would be no way to access a candidate’s fingerprints from an online database in an emergency situation. ABC Nanny Source Solution: All ABC Nanny Source recruiting locations are equipped with FBI standard approved electronic fingerprinting equipment to perform the scanning after the agency has received the proper identification. The prints are then saved in our database for each candidate to ensure you have the most detailed background on the applicants. Question: Is it imperative that your candidate has wonderful and reliable child care experience to share with your family? Concern with Online Searches: Since the resumes each candidate submits on the online databases are written by themselves and inspired from online templates, it’s misleading since the candidate will clearly embellish their skills and personal characteristics. Online resume searches will provide a multitude of results, leaving you to reach out to references on your own that may not be accurate or reliable. ABC Nanny Source Solution: A standard here at our agency is that each candidate is able to provide at least three childcare references in addition to two character references. We verify these references in our Verification Department composed of those who are devoted exclusively to validate the sources. The Verification team connects with each reference to confirm the nanny is dependable, honest, and experienced. We acquire these references to allow the families to better understand the person they are reviewing from people who know the candidate more personally. At ABC Nanny we pride ourselves in knowing that we hand select our Nannies personally, ensuring their legitimacy. Question: Is it essential to your family that the applicants you are reviewing have verified identification and are legally authorized to accept employment in the United States? Concern with Online Searches: Online does not allow for you to confirm that the claimed identity is accurate and reliable. This lack of security allows any fraud to be welcomed into your home and have access to confidential information. You may never truly know the person you are leaving the care of your children with. ABC Nanny Source Solution: At ABC Nanny Source reliance is a vital component of the nannies we represent, therefore we require all candidates to provide proper photo identification as well as confirm they are eligible to accept employment in the United States. We also go above and beyond by administering a social security trace on each applicant in addition to verifying identification with state officials from their driver’s licenses. We assure that your family can trust any representative from ABC since we make sure they are legal and safe to be caring for your children. Question: Is it important to your family that the nanny you hire has been professionally trained to save your child’s life when in a threatening situation? Concern with Online Searches: People tend to embellish their skills and abilities on resumes, the most common is that they are CPR and First Aid trained and certified. Unfortunately some maybe insufficient if they are expired or beyond the recommended date of renewal. ABC Nanny Source Solution: ABC Nanny Source not only verifies, but also stores the proof on file that each nanny represented has current certification in CPR. This is vital for preparing for the unexpected situation and is crucial to providing a safe environment for your family. Question: Is it imperative that the nanny you allow to become a part of your family is committed to stay employed with the family for an extended period of time? Concern with Online Searches: Nannies tend to use the profession as a way to achieve experience for the profession they’re really hoping to attain; these are not examples of the career nannies that your family needs to establish a stable home. Unreliable candidates could lead you back to your extensive search for a career nanny, which you will again have to have your children grow accustomed to and train the nanny for your family’s needs. The most common reasons for a nanny’s discontinued position are due to intentions to relocate out of the area or plans begin college full time in the upcoming months that unfortunately the nanny never discloses in the interview process. ABC Nanny Source Solution: ABC Nanny Source requires that all candidates that are represented agree and sign a one-year commitment pledge stating that they are seeking a position for a minimum of one year. ABC eliminates those who are in a transitional period and whose plans will conflict with a professional position. ABC recognizes that the stability of the nanny and her professionalism is crucial to your family. Question: Is it critical to your family that you have a source to go to for answers when issues arise? Will it be beneficial to have your own personal consultant for pay increases and performance reviews? Concern with Online Searches: When utilizing the internet, a family cannot dependably access a professional counselor in the childcare industry to speak with and offer personalized advice to address your needs and concerns. 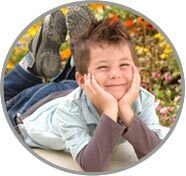 ABC Nanny Source Solution: ABC Nanny Source counselors pride themselves in knowing families personally even after placement. We are with you for every step of the process and pride ourselves on being a caring and reliable source for every question you might have. ABC follows up with each family to ensure that the nanny hired is working efficiently in meeting all expectations and working well with the family.ABC is so confident in each placement and offers each client a full one-year guarantee as insurance if a need for another nanny arises for any reason.